In these soccer times, we can say that going to World of Coffee (WOC) is almost the same for us as going the World Cup for those interested in soccer. But in this case WOC is every year and it was our second time participating. Our stand with: Sverre, Tina and Trond. Last year it was in Budapest and we were awarded as Best New Product in the category Technology. 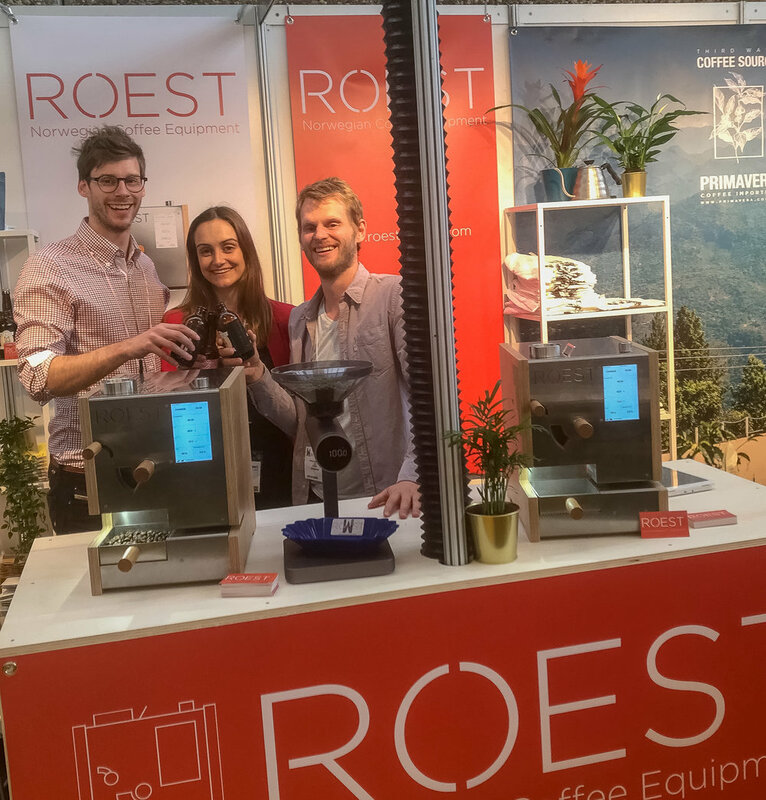 This year the event took a place in Amsterdam and it was an amazing experience for ROEST team. The schedule of events was conducted from the 21st to the 23rd of June. We shared the stand with our friends from Nordic Approach and Tim Wendelboe and did more than two hundred demonstrations during these three days. There were more than 9000 attendants from different parts of the world among them, entrepreneurs and enthusiasts of the coffee industry who are interested in new developments. We are already looking forward to Berlin in 2019!